Born, Cordoba, Argentina, July 14, 1943. Licenciado en Matematicas, Universidad Nacional de Cordoba, Cordoba, Argentina, 1964. Ph.D., in Mathematics, The Rockefeller University, 1969. Professor Adjunto, Universidad Nacional de Cordoba, Cordoba, Argentina, 1970. Courant Instructor of Mathematics, New York University, 1970-1972. Adjunct Professor of Mathematics, New York University, 1972-1973. Resident Visitor, International Business Machines, Inc., Yorktown Heights, New York, 1972-1973. Assistant Professor of Applied Mathematics, California Institute of Technology, 1973-1974. Assistant Professor of Mathematics, University of California, Berkeley, 1974-1976. Associate Professor of Mathematics, University of California, Berkeley, 1976-1980. Professor of Mathematics, University of California, Berkeley, 1980. Visiting Associate Professor, Courant Institute, New York University (November-December), 1979. Associate Faculty, Mathematics and Computing Section, Lawrence Berkeley Laboratory, 1979. 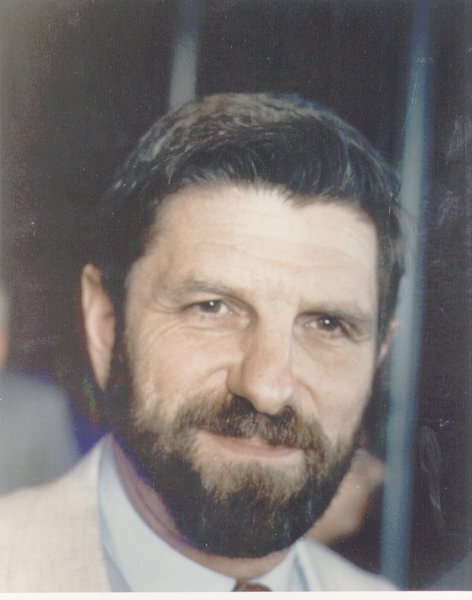 Director, Center for Pure and Applied Mathematics, University of California, Berkeley, 1985-1989. Chairman, Department of Mathematics, University of California, Berkeley, 1989-1992.